If you are an estate agency and you want to be at the top of your game, then you need to make sure that you have every possible marketing angle covered. In a digital world where the choices of agencies are endless, you need to stand out to all your potential customers. You can’t give them any excuse to leave your website without making an initial enquiry. 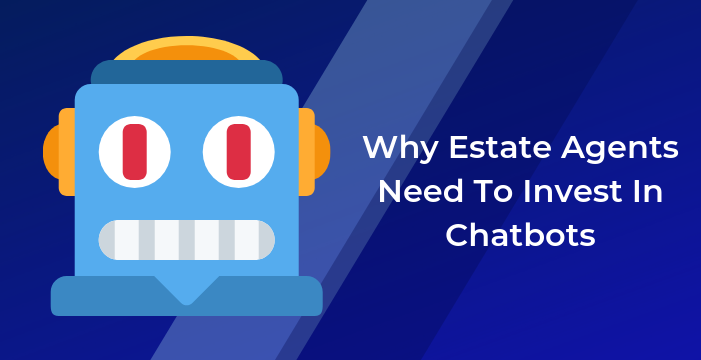 Which of course includes having a chatbot, they offer an instant contact point for the customer that offers them helpful information & offers them options. Here is a scenario for you, then you can decide if a chatbot is helpful or not. ‘A customer goes onto your Facebook channel to ask a member of staff a question, but no one is available right now & they want a quick answer to help them make a decision, they don’t particularly care about who they choose to go with they just want answers as fast as possible and will go with whoever can help first. Long gone are the days where a chatbot simply pops up and says hello and then can’t respond to any form of conversation, they’re much more efficient and intelligent. They can guide people to specific parts of the website, they can get an agent on the line for the & they can collect vital information for you (email addresses, phone numbers etc) which allows you to add a whole new batch of customers to your CRM. You don’t need to be boring with it, have fun! Make a lasting impression on your customers. How do you do that? Drop some personality in there, place emoji’s in the conversation and talk in the way you would actually talk. Make it seem like a human conversing with them. You can make easy for people to have a conversation, they don’t even need to type! They can click premade answers, so it’s no effort for them at all to get answers, whilst having fun! Drop in videos, pictures or gifs to keep them entertained and wanting more, it works a treat. Want to know how to get more leads? Only 5 sessions left this month!